Always get a bounce house!! Posted in: Animals, Contest, Events, Harley-Davidson, Hotdog, kids, Pets, Rescue, Volunteer. Tagged: activities, animal, bounce house, cats, Dogs, egg hunt, face painting, Fairfield California, family, Fundraiser, Harley-Davidson, Iron Steed, kids, SPCA, SPCA of Solano County, Vacaville CA, volunteer. 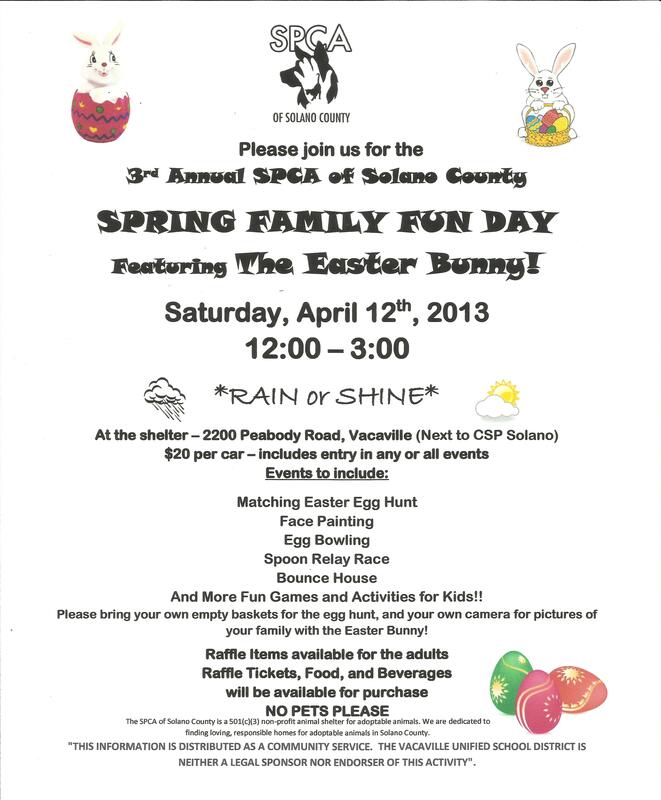 The SPCA of Solano County is lucky enough to have an amazing special events coordinator. We had a ton of fun events last year and we are just getting started this year. First event on the schedule and it begins this coming Saturday March 22nd. 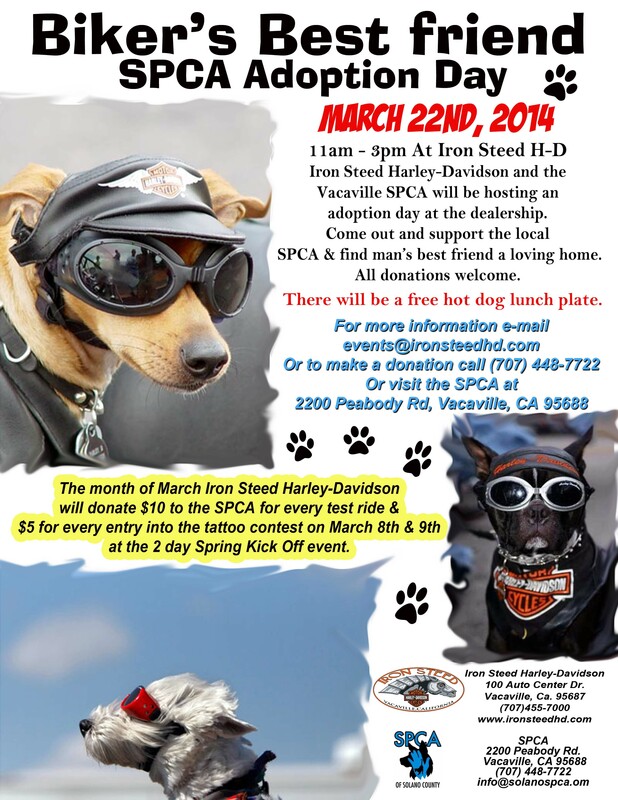 Come and join us for “Biker’s Best Friend” SPCA adoption day at Iron Steed Harley-Davidson in Vacaville!! Come out and say hi, visit with our adoptable animals and have a free hot dog lunch plate! You just might find your new best friend or perhaps the new Harley you have had your eye on! This brings us to event #2 3rd Annual Spring Family Fun Day! Featuring…. The Easter Bunny!!!!! 12:00 – 3:00pm Rain or Shine! $20 per car – includes parking and entry in any and all events. this one is for the human kids this time! Please see the flyer for complete details! !